Hooray for you know what. Whether its signing “non-disclosure agreements” (NDAs) to be able to work on a project in the first place, or just keeping things close to the vest until the perfect time, I often spend a lot of time working on things I just can’t talk about right now. The last few weeks I’ve been tucked away on one such project (this is of the “close to the vest” variety) which has filled the majority of my waking hours and put TTK on a bit of the back burner. Now that it’s done (finally), I’m going to be diving into another close-vester straight away. No rest for the weary, right. So for today, just a quick running tidbit. Two weeks ago I ran the Hollywood Half Marathon and had a fun time clomping up and down the “walk of fame” and getting to say “hi” to several running friends of mine, including some Team to End AIDS (T2) teammates. And I recently got my “free” (what a wonderful word) race photos, courtesy of the race and Buzz Feed, which I thought I’d share. Now this is a red carpet I like walking down. 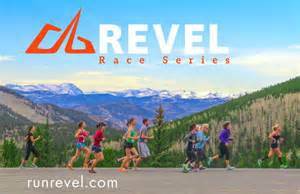 Next up on my race schedule is the inaugural running of the REVEL Mt. Charleston marathon/half marathon outside of Las Vegas on May 7th. It’s a downhill race, so I’ve been doing some hill runs on the weekends to make sure that my quads won’t want to kill me the day after the race. I plan to get a post up about the joy of “inaugural” races prior to heading off to Vegas. Have a good week… and now back to the vest. Posted on April 25, 2016, in General. Bookmark the permalink. Comments Off on HUSH HUSH WRITING….